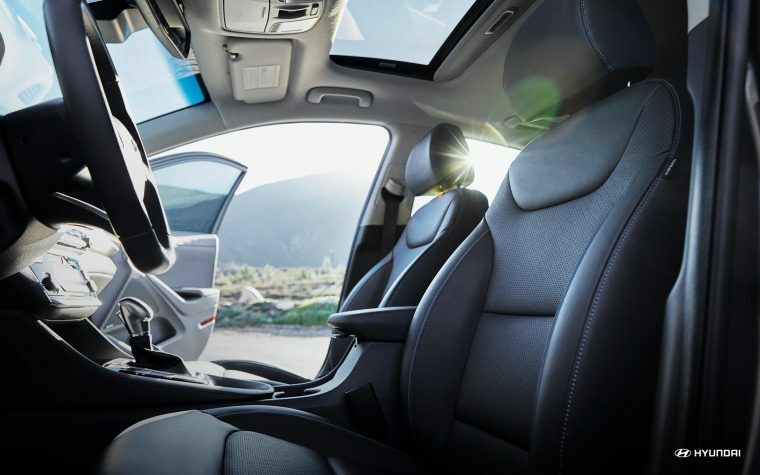 The Hyundai Ioniq Hybrid combines gasoline and electric power to create an eco-friendly ride, while bringing along luxury features and advanced technology inside the cabin. Earning up to 58 mpg, you can save a decent chunk of change with fewer stops at the gas station. The 2018 Hyundai Ioniq Hybrid is available in three trims: Blue, SEL, and Limited. What’s New for the 2018 Hyundai Ioniq Hybrid? For 2018, the new Ioniq Hybrid receives a few upgraded performance functions from last year’s model. For example, you can now opt for paddle shifters on the SEL and Limited trims for a more hands-on driving experience. 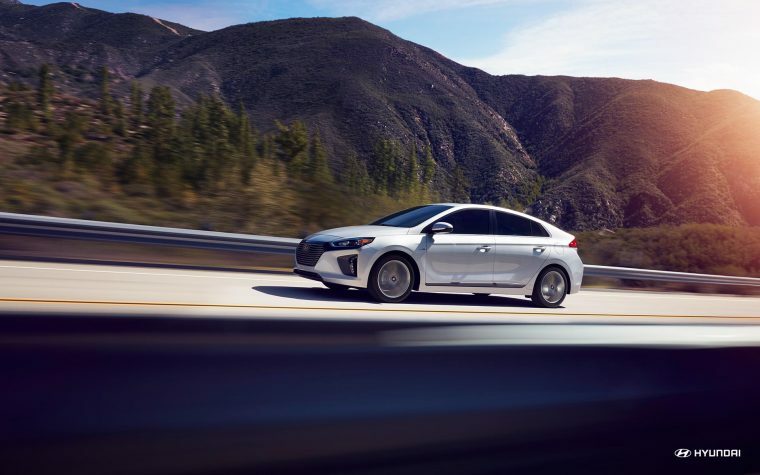 The Ioniq Hybrid is a sleek, sophisticated sedan that lets its presence on the road be known. Convenience features are integrated throughout the sedan’s exterior, including automatic headlights, intermittent variable windshield wipers, solar control glass, and available heated side mirrors. 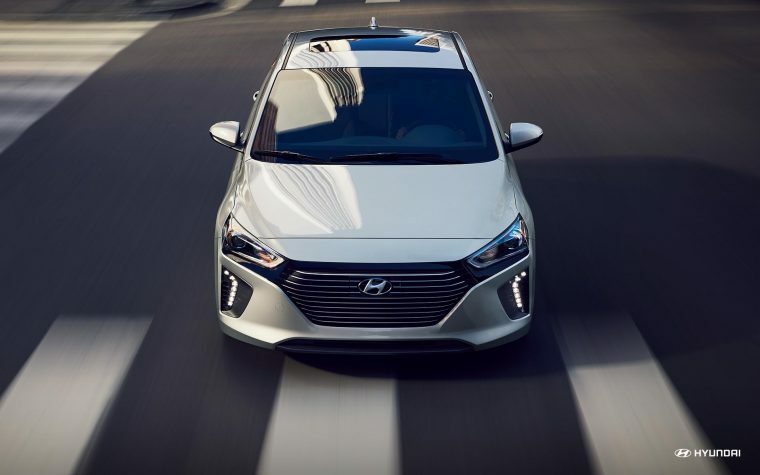 The 2018 Hyundai Ioniq Hybrid is available in five exterior colors: Ceramic White, Symphony Air Silver, Summit Gray, Electric Blue Metallic, and Black Noir Pearl. 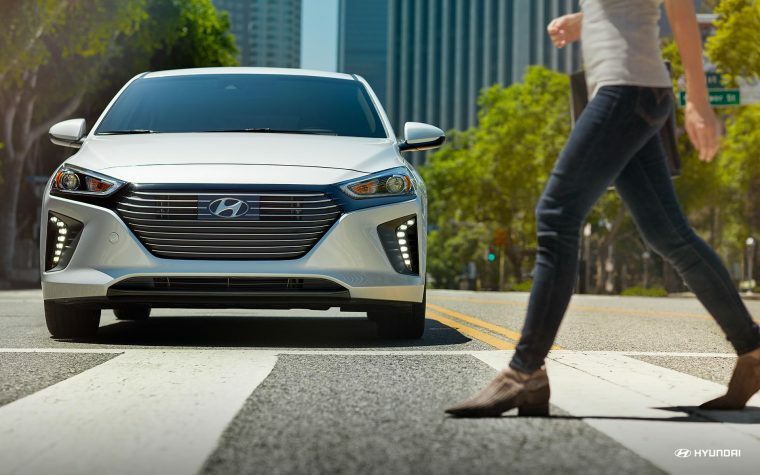 The 2018 Hyundai Ioniq Hybrid combines a traditional gasoline engine with an electric motor to improve its efficiency ratings. The Ioniq Hybrid is equipped with a 1.6-liter inline four-cylinder engine and a 32 kW interior-permanent magnet synchronous motor. A six-speed EcoShift dual-clutch transmission with SHIFTRONIC comes on the Ioniq Hybrid, as well. On its own, the gasoline engine produces 104 horsepower and 109 lb-ft of torque. When combined with the electric motor, the Ioniq Hybrid produces 139 horsepower. Efficiency is the main focus of the Ioniq Hybrid, combining gasoline and electric power for an eco-friendly rating. 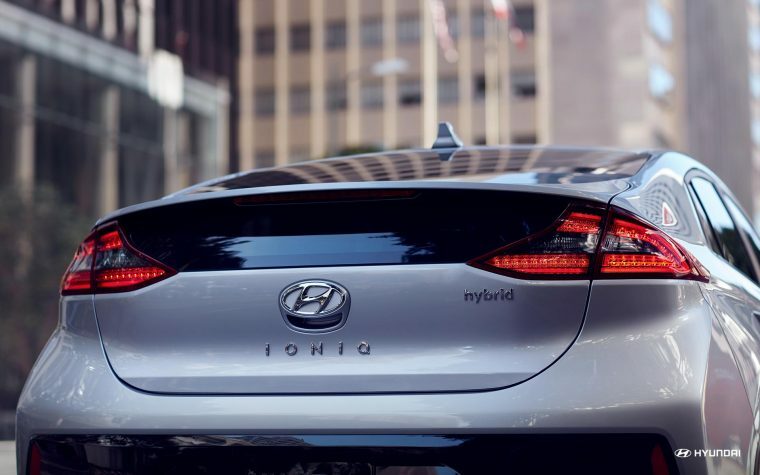 The 2018 Ioniq Hybrid earns an estimated 57 mpg in the city, 59 mpg on the highway, and 58 mpg combined. 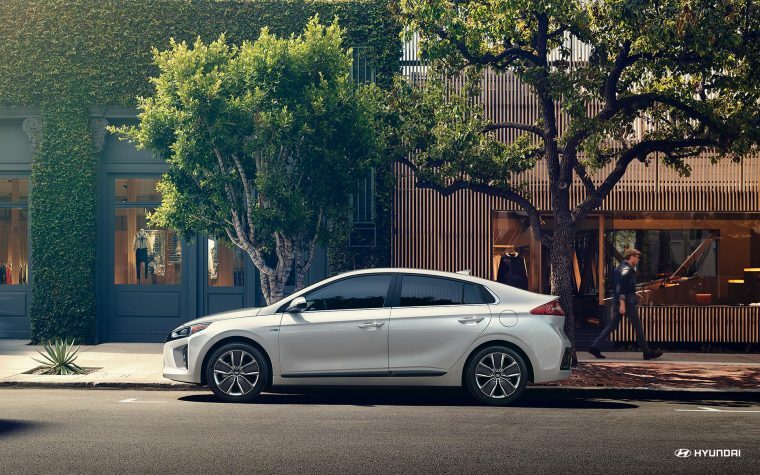 Stylish and functional features come on every trim level of the Hyundai Ioniq Hybrid. Standard, you’ll find amenities like premium cloth seating, dual automatic temperature control, and a rear window defroster. The base trim also comes with a suite of tech features including SiriusXM Satellite Radio, Apple CarPlay and Android Auto, and Bluetooth. If you decide to upgrade to a higher trim level, you can enjoy driver-assist features like Blind Spot Detection and Lane Change Assist. Maneuvering is easy in the 2018 Ioniq Hybrid. The sedan comes with a standard rear view camera to help you navigate smaller parking lots, while Brake Assist (BA) helps prevent accidents from occurring. If you do end up in an accident, the Ioniq Hybrid is designed with front and rear crumple zones, as well as an energy-absorbing steering column, to help cushion the impact.